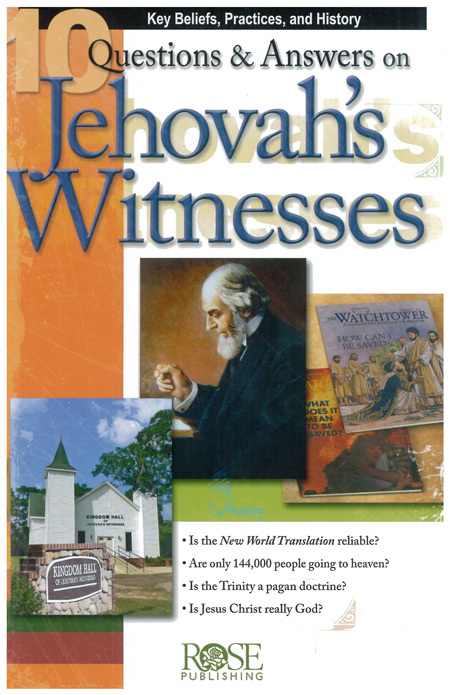 A durable, full-color, glossy pamphlet that gives an excellent overview of JW beliefs and history, with helpful suggestions for sharing the gospel with JWs. Valuable resource that tucks into most Bibles and gets quickly and simply to the point. Among the 10 questions the pamphlet answers are these: Is God’s true name really Jehovah? Is the Trinity really a pagan doctrine? Is Jesus Christ God? Will only 144,000 people go to heaven? Is the New World Translation (the JWs’ Bible version) reliable? A glossary defines such JW special terms as anointed class, Babylon, new light, and kingdom hall.